Delivered a week ahead of schedule, within budget and to a high level of quality. There was much to be pleased about when ESVAGT’s Chief Operating Officer, Kristian Ole Jakobsen, signed for the HST 125 at the Havyard Shipyard in Leirvik, Norway before the vessel set sail to Stavanger to take part in the ONS exhibition and then straight on to Great Yarmouth for its naming ceremony to the ’Esvagt Njord’ before the SOV enters charter as servicing vessel at the Dudgeon Offshore Wind Farm for Statoil UK. “The shipyard has really delivered a good result and our initial experience also indicates that Havyard Ship Technology has come up with an exceptionally good design,” says Kristian Ole Jakobsen. 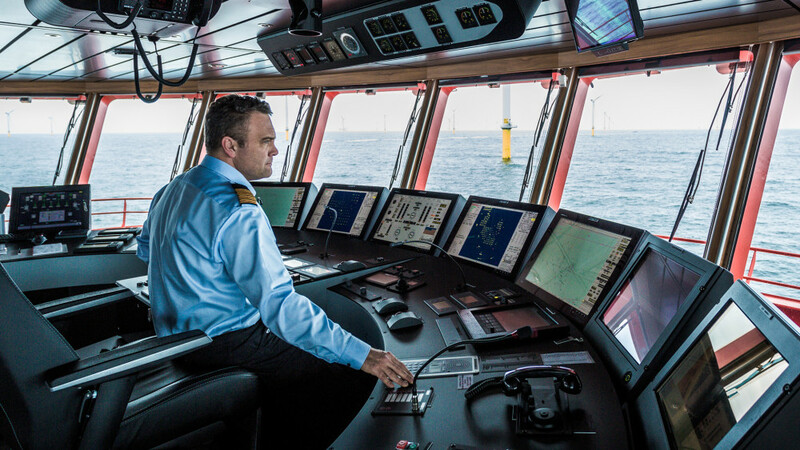 “We wanted to take advantage of the experience gained from working in the two offshore wind turbine farms for Siemens Wind Power in the design of the new vessels. That is why captain Henrik Baunsøe, who will be one of the two captains of the ’Esvagt Njord’, has been working with the shipyard during the build. 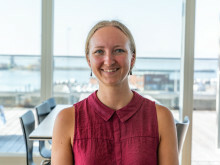 He has been captain of the ’Esvagt Faraday’ since day one and has been good at transposing and implementing the experience that he has gained from working in the offshore wind turbine farm in design solutions on the ’Esvagt Njord’,” says Kristian Ole Jakobsen. Captains Joakim Pedersen and Henrik Baunsøe (photo) will be responsible for the ’Esvagt Njord’. Henrik Baunsøe has made use of his experience from another ESVAGT SOV, ’Esvagt Faraday’, partly by working with the shipyard during the build. 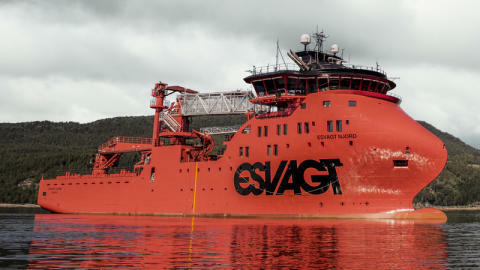 ESVAGT wins another contract for offshore wind farms.